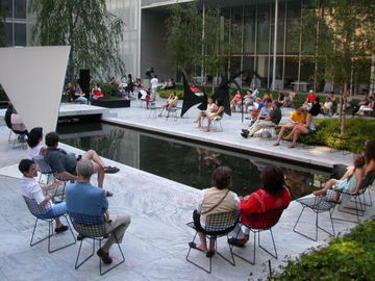 I have fond memories of going to MoMA's annual Summergarden series growing up with my family, where Juilliard's new music specialist Joel Sachs has been responsible for the programming ever since its founding in 1971. 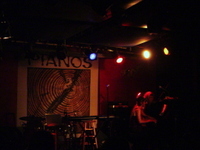 After the museum's renovation was completed in 2005, the concerts were split between new music (7/8, 7/22, 8/5, 8/19) and jazz (7/15, 7/29, 8/12, 8/26), featuring members of the New Juilliard Ensemble and Jazz at Lincoln Center, respectively. What's most remarkable is that each concert in the series will feature a premiere: a worthy tribute from the high altar of modern art. (Not to mention they'll be played amongst Richard Serra's monumental steel sculptures.) Concerts are at 8pm each Sunday in July and August; doors at 7pm. Admission is free. Art Songs on the L.E.S. The talented singer-songwriter Gabriel Kahane, who describes his material as "somewhere between Shostakovich and Rufus Wainwright," is all about bringing art music to the masses. Perhaps best known for his Craigslistlieder, in which he literally sets ads from the popular listings site to music, he is currently at work on a new musical theater piece about the Prophet Muhammad, to be premiered at this summer's Williamstown Theater Festival. 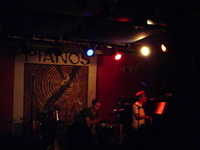 Last night at Pianos, he performed songs from the rest of his catalogue, along with regular percussionist Richie Barshay. Some of the material slid towards the soft and sentimental, but his musicianship was consistently outstanding. Particularly strong were the Alban Berg-like "Brocade", about a Brooklyn boy with girl troubles, and "The Long Walk Home," which Kahane described as his "Ligeti piece" and featured an incredible approximation of the composer's notoriously difficult piano work. After a set by Bjork-like singer Bell - an excellent pianist in her own right - the two performed a wild excerpt from another of Kahane's musical theater pieces in which they donned cross-dressing costumes and sang what sounded like an old English vaudeville number. (It's set in London and has something to do with the inventor of Eugenics.) The mostly-young crowd seemed perplexed by the display, well outside their usual indie rock aesthetic. They closed out with a subdued cover of The Arcade Fire's "Rebellion," which brought everyone back to familiar turf. Lincoln Center Out of Doors released their schedule this past week, with over 100 free shows on the various plazas of Lincoln Center from August 2-27. Musical highlights include: the Dave Brubeck Quartet (8/5), Pauline Oliveros (8/21), Kristjian Jarvi's Absolute Ensemble (8/25), and an 85th birthday tribute to Charles Mingus, featuring Gunther Schuller conducting the Mingus Big Band (8/26).